Inge Brandenburg (1929-1999) was the most important German jazz singer of the 50s and 60s, blessed with creative spontaneity, a very own vocal timing and great artistic expression. Her style was unique and with her dark timbre she celebrated the "real" blues. This CD and LP presents a survey of the singer`s completely unknown or rare live recordings, taped 1958-1962 in Berlin and Frankfurt am Main, at the peak of her short and tragic career as a jazz artist. 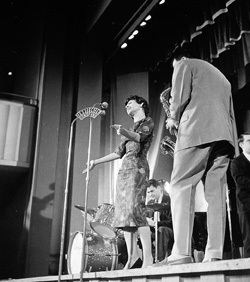 Her performance at the sixth German Jazz Festival in 1958 was considered to be her breakthrough. Three tracks out of twelve were recorded at this concert. Inge Brandenburg was accompanied there by the excellent trio of pianist Rolf Lüttgens, featuring legendary bassist Peter Trunk and Rudi Sehring, one of the best German drummers of the post-war period. In the following years, excerpts from other concerts and studio jam sessions were recorded, with the RIAS Dance Orchestra conducted by Werner Müller (featuring Helmut Brandt), the RIAS combo or the trio of bassist Dieter von Goetze. With this compilation from collectors` archives, ten of the twelve precious and forgotten recordings, carefully restored and mastered, become available on vinyl and CD for the first time. 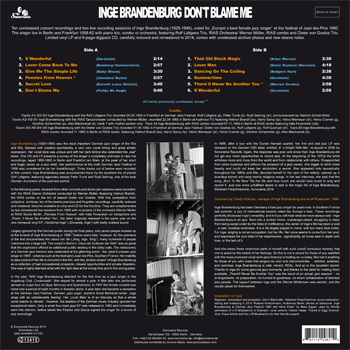 They are complemented by two remastered live sessions from 1960 with musicians of the orchestra Werner Müller at RIAS Studio Berlin, "Pennies From Heaven" with Adie Feuerstein on vibraphone and "There` ll Never Be Another You ", the latter originally released in the same year on the rare monaural vinyl EP "Herzlichst Inge" (“Sincerely, Inge”) with badly dubbed sound. Largely ignored by the German public during her final years, only seven people showed up at the funeral of Inge Brandenburg in 1999. Twelve years later, however, for the premiere of the first documentary film about her life ("Sing, Inge, Sing"), many hundreds of people crammed into a large hall. The crowd in Berlin's "Haus der Kulturen der Welt" was so great that the organizers had to offer an additional public viewing in the lobby cafe. 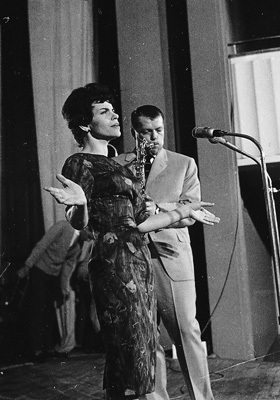 The rediscovery of a German jazz heroine was celebrated at the glittering event - the “best European jazz singer in 1960”, voted as such at the festival in Juan-Les-Pins, Southern France. Her inability to take control of her life is mirrored in the film, with the “broken dream” of Inge Brandenburg as a collection of bad occupational prospects, missed opportunities and private disasters. She was a highly talented artist with the right idea at the wrong time and in the wrong place. 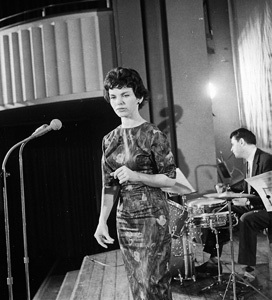 In the year 1950 Inge Brandenburg debuted for the first time as a jazz singer in the Augsburg Club "Crossroads". She stayed for almost a year. A little later she performed abroad on a jazz tour of Libya, Morocco and Scandinavia. In 1957 the female vocalist was hired over a period of eight months in Sweden alone. A year later she became a sensation at the German Jazz Festival. Geman "Jazz pope" Joachim Ernst Behrendt wrote: "Inge sings with an unbelievable 'feeling'. Her 'Lover Man' is of an intensity so that a whole world seems to vibrate”. However, the leaders of the German music industry ignored her exceptional talent. Only a small four-track jazz EP was released in 1960 and immediately went into oblivion, before labels like Polydor and Decca signed the singer for a bunch of pop recordings. Inge Brandenburg has been Germany's best jazz singer for years now. In Southern France last summer, a jury of international experts voted her Europe`s best. 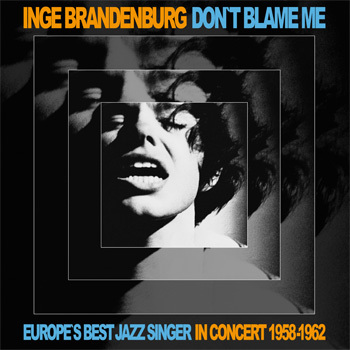 These recordings perfectly showcase Inge's versatility, and in it you will hear what we have always said - Inge Brandenburq is all jazz. Born into a broken home, orphanage-raised, struggling to keep frorn being swept under by the tides of indifference, the center of Inge's life has been a void ... a vast, loveless loneliness. It is a life largely played in rninor, with too many blue notes. For Inge singing is not an occupation, but her life. Her voice seems to come from her soul, and expresses the sum total of her experiences - significantly, all tunes deal in depth with love, or the lack of it. And she bares these innermost parts of herself with such unself conscious honesty that one is awed by the extent of her feelings. So this is not a record for those of you satisfied with the mass produced vocal semi-jazz America is foisting on us today. Nor has it anything for those of you who insist that singers be cool and instrument-like ... distilled, polished, and colorless. Inge Brandenburg is vital, vibrant, REAL. And so is this excellent record. Thanks to Inge for some genuine jazz moments, and thanks to the label for making them available. "There'lI Never Be Another You" was the result of an actual "jam session" - no arrangements, no preperation. An honest-to-goodness, no-sham collaboration of talented jazz people. The rapport between Inge and the Werner Müllermen was electric, and the results speak for themselves . L+R Musikarchiv in Eisenach, cover artwork: Patrick Haase. Thanks to Sigi Schmidt-Joos, Klaus Scholz and the L+R Musikarchiv for their friendly support.